Hold onto your official limited edition replica Thor helmets, true believers! The comic book you’ve been waiting for is finally on sale this week! 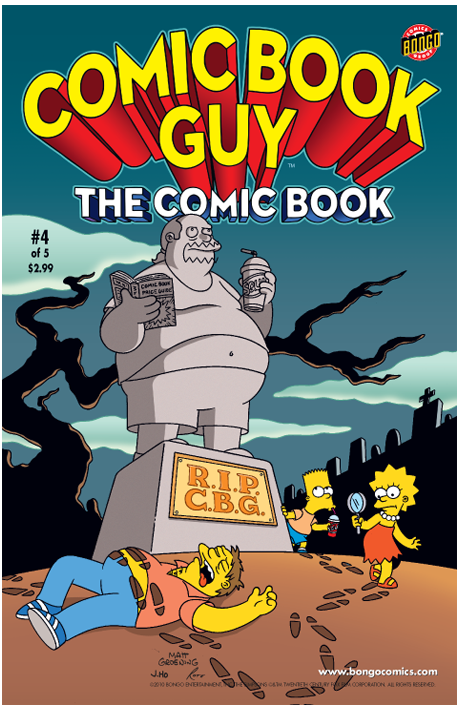 Critics agree that Comic Book Guy the Comic Book #5 is the last issue of a five-part mini-series! All will be revealed in the startling and life-affirming conclusion to the epic "The Death of Comic Book Guy!" saga, and everything will go back to the way it was before we had the audacity to mess with The Simpsons status quo... or will it? Get thee to a comic book emporium near you and find out! 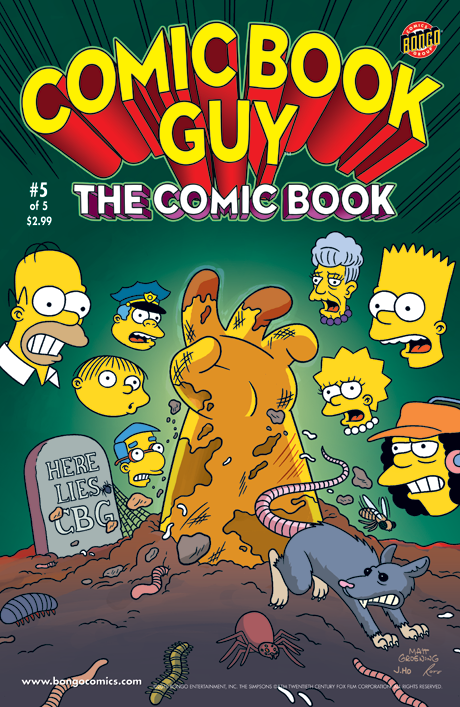 It’s the penultimate issue of “The Death of Comic Book Guy!” Marge believes that the Android’s Dungeon may very well be haunted, while Lisa delves into the mysterious past of the Comic Book Guy, discovering his secret origin. Nelson finds a new purpose in life, the milkshake machine at the KrustyBurger gets clogged, and Bart “fabricates” his grandest practical joke ever! 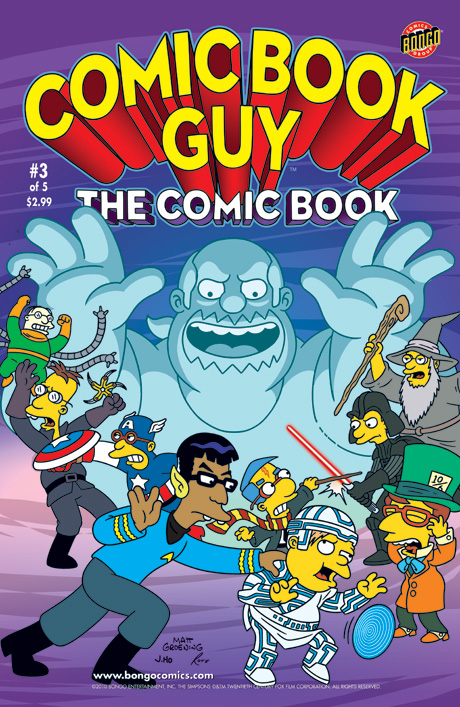 Who would have thought that the passing of Comic Book Guy would bring Springfield to the brink of civil war. Brace yourself as nerd takes on geek for a beatdown in the streets. (Fanny packs, Spock ears, and asthma inhalers will be required.) Then, Bart goes on a search for a new hobby, and Lisa investigates the death of Comic Book Guy with her stalwart apprentice, Ralph Wiggum, in tow. 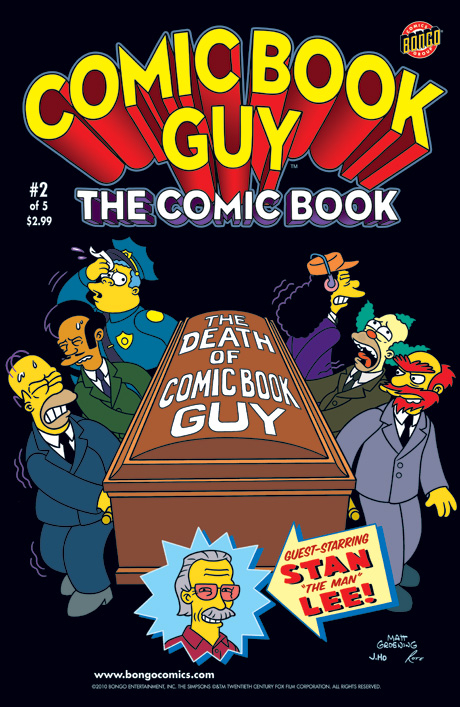 The Comic Book Guy is dead, but not gone­­––and definitely not forgotten. After the eulogy delivered by a special guest and comic book legend (Nuff Said! 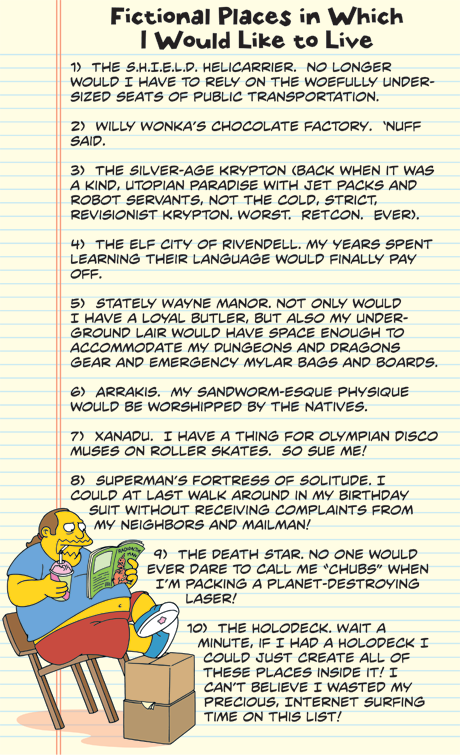 ), it’s time for Comic Book Guy’s last will and testament to be read, and with the portly proprietor’s passing, a deep void is felt by everyone in Springfield and beyond. Who will inherit the Android’s Dungeon? What will become of the virtual world of blogs and message boards without the snarkiness of Comic Book Guy’s irreverent and often unwanted pop culture criticisms on the Internet? Brace yourself for the geek and nerd fueled vacuum caused by his absence and the gathering storm of …The Dork Age!